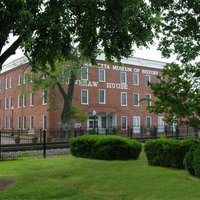 Located in the Kennesaw House, just steps off the historic Marietta Square, the Marietta Museum of History offers visitors a wide variety of exhibits including military uniforms, household items and clothing, Civil War artifacts, and much more. Parking: Marietta Museum of History is located on the second floor of the Kennesaw House, just steps west of the historic Marietta Square and next door to the Marietta Welcome Center. Parking is available in the public parking lot on the corner of Powder Springs Road and Mill Street.